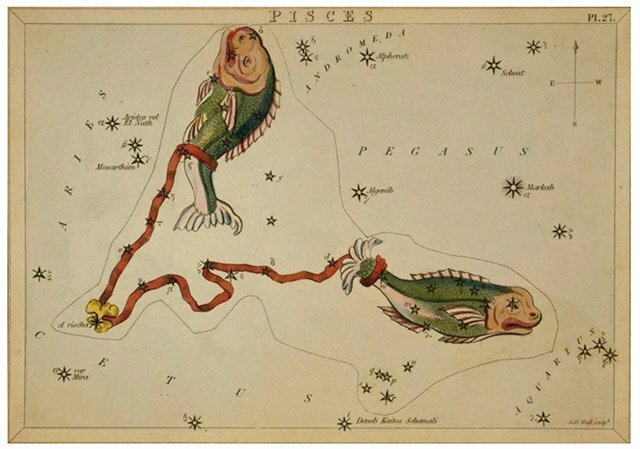 What does it mean if your Star Sign is Pisces? Water sign; ruled by Neptune. → Click here to read your Pisces horoscope! Upside: Pisces are empathetic people, often feeling badly for someone whose life is not going well. They feel the need to reach out to those who are less fortunate and will often find themselves involved in drama that they hadn’t intended. They are kind, caring individuals who feel everything deeply, even though you would not know it on the surface. They can be creative and imaginative when they believe that they have support to make those leaps. Downside: Because they feel everything so intensely, this sign can often become a clinical worrier. They will worry that they are not worrying. This tendency to worry also leads to indecision on their part, fearing that if they make a decision that others disagree with that they will have upset someone. Pisces don’t like to hurt people’s feelings and as such become conflicted when they have to make decisions. They do not do well as leaders, but are impressive support personnel. Sometimes the have a lack of follow through due to this indecisiveness and require a gentle nudge from other signs to complete tasks on time. Pisces is a water sign, like Cancer and Scorpio.